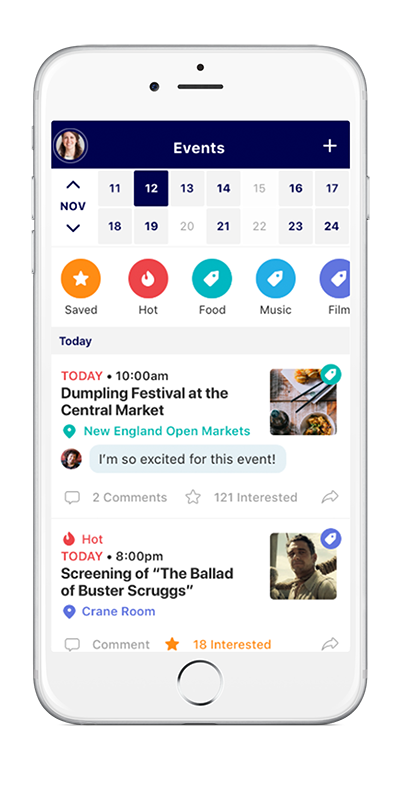 Raftr’s exclusive event curation tool collects events from every department on campus, and brings them together on a mobile platform that students love. With no technical integration required and no extra steps to maintain a comprehensive calendar, students will have a complete guide to what’s happening on campus in the palms of their hands. Provide your existing campus calendars (unlimited with Pro and Enterprise plans), even from multiple sources such as Google Calendars, RSS feeds, and more. Students can download Raftr from the App Store or Play Store, creating an account using your school's .edu email address, and have access to a social campus experience in just minutes.